Preparation: Bring two bags containing stickers or some other kind of prize or treat. One bag should contain just a few items, the other, many items. Have extra items yourself to give to the helper with the meager prize-bag. I have two bags of prizes with me this morning. I’d like two volunteers to help me hand them out. (Pick your helpers and give them each a bag.) As you can see, one of the bags is more full than the other. I’d like my helpers to start handing out prizes. They have to take turns, though, as they hand out their prizes. First one person will give out a prize, then the other person will give out a prize until everybody has been given a prize. 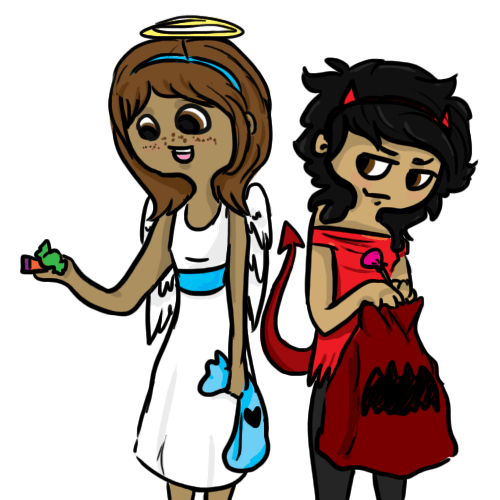 Then, after everybody has gotten a prize, these two helpers get to keep for themselves whatever is left in their bags. We can help by counting as they hand them out. (Let the volunteers begin. Try to make sure that the one with the meager bag has few or no prizes left when finished.) Does everyone have a prize? Something like this happened when Jesus and his disciples were sitting at the temple, watching people drop their money in the offering box. As they watched the crowds come by, they saw many rich people put in large amounts of money. It was an impressive offering the rich people gave. Then along came a poor widow. She put just a small amount into the box. But Jesus saw her, and he said to his disciples, “This poor widow has given more than all the others have given. For they have given a tiny part of their surplus, but she, poor as she is, has given everything she has” (Mark 12:43-44 nlt). Prayer: Lord Jesus, help us be generous in sharing all the gifts that came from you in the first place. Interesting exercise! I’ll have to try it out!